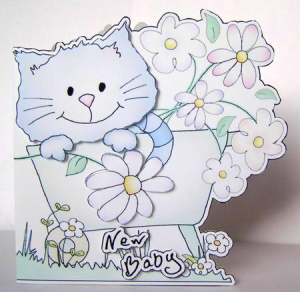 These printable shaped greeting cards are not just your usual square or rectangular cards. They have the added interest of have a shaped section, usually at the top or on the right hand side. 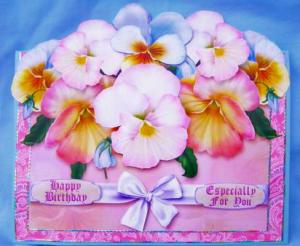 Many of these cards also have optional decoupage elements, where you cut out extra elements and layer them on top of the base sheet to give a special 3D effect. Here are several websites I’ve found which offer free templates. Templates are just outlines. 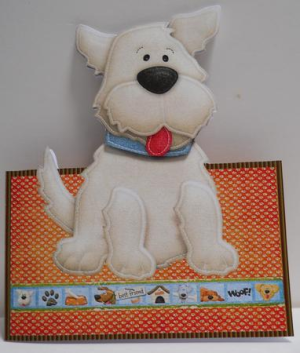 You will need to print on colored or patterned paper, or decorate after you cut out the shape. Flowers, hearts, and necktie shaped cards. Here you’ll find a paned window, a little birdhouse, a little boy’s outfit, a little girl’s outfit, and a flowerpot.